Andrew Klobucar interviews TCR writer-in-residence Peter Quartermain. 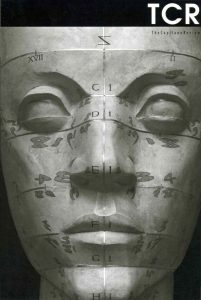 BC sculptor Geoffrey Smedley’s work based on Piero della Francesca’s drawings of the human head — photographed by Robert Keziere. An excerpt from Clint Burnham’s Smoke Show.